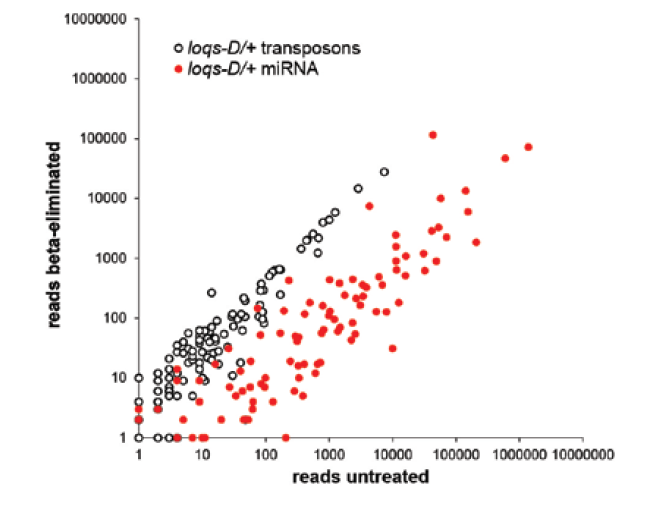 Which factors are required to process dsRNA into siRNAs? The basic steps of siRNA biogenesis are well understood by now. However, it is still an open question how the various sources (pri-miRNAs, viral infection, dsRNA derived from transposable elements and DNA breaks etc.) are integrated. This must be coordinated to to ensure that one source does not overwhelm the loading capacity of Ago-proteins, the effector proteins programmed by the small RNAs. In other words, all systems must remain responsive. We are characterizing the dsRNA binding co-factors of Dicer (e.g. Loqs and R2D2) but also other RNA interacting proteins that participate in genome surveillance, siRNA biogenesis as well as RNA degradation or changes in chromatin architecture.